A credit report is vital for practicing smart finance NZ wide, but many in New Zealand are in the dark because they don’t know where and how to request it. Do you know how to get your hands on your credit score? Fortunately, requesting your credit report in New Zealand is easier than ever. Credit reports weren’t always as accessible as they are today, but the New Zealand government protects your right to check your credit information free of charge. While you will still need to pay if you need your credit report right away, your free credit report is available upon request from each of the three credit reference agencies that provide them in New Zealand. What are you waiting for? Continue reading to learn how you can get your free New Zealand credit score. What are the benefits of checking my credit report? Your credit rating is an integral part of your financial identity. It affects how companies treat you when borrowing money or applying for credit. Because your credit rating is available for free, checking it regularly is both wise and practical, and offers an array of benefits. 1. There are plenty of reasons to pay close attention to your New Zealand credit score. The most significant reason to check your credit score regularly is to catch any errors that might appear and have them corrected. 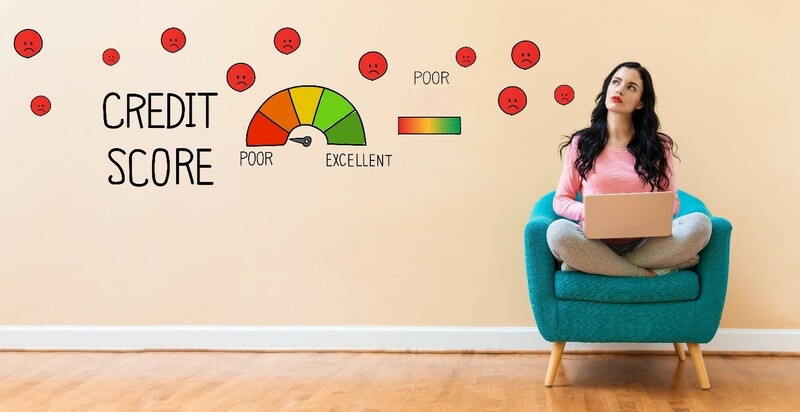 Identifying mistakes in your credit report empowers you to correct those quickly and avoid any difficulties that might arise from a falsely deflated credit score. 2. Checking your credit report regularly will help you ensure that none of your credit data is outdated. 3. Checking your credit report regularly is a simple and effective way to know if your identity has been stolen. 4. Aside from catching mistakes, checking your credit report regularly gives you a current and accurate portrayal of the health of your finances. Knowing your credit score empowers you to improve it if necessary. Consider using a personal loan calculator to take out a bad credit loan and show some timely loan payments in your credit report. You can also better anticipate how loan or credit applications will play out and what you can expect when you sit down with a lender to negotiate terms. New Zealand has three credit reference agencies. Each of them provides free credit reports. Centrix, based in Auckland, is New Zealand’s only locally owned and operated consumer credit bureau. Their free credit reports are typically available within 10 working days. Credit Simple, a subsidiary of analytics giant illion, is a consumer marketplace that provides free credit reports after a quick registration. Equifax, a global information solutions company based out of Atlanta, USA, operates investments offices in 24 countries including New Zealand. Their free credit reports available immediately online or by mail within 15 working days. Currently, Equifax carries the most weight with Lenders. A healthy credit score means better rates for your credit and loan applications. If you need cash now, contact Max Loans today for the best rates on your next loan.